And while some wonder if this political newcomer will be effective in the nation’s highest office, Frazier said Trump “has appointed some strong Cabinet members” — better, he admitted, than he expected. 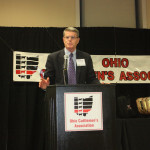 Kendal Frazier, CEO of the National Cattlemen’s Beef Association, told members of the Ohio Cattlemen’s Association Jan. 21 the Trump administration will bring a shift in ‘regulatory attitude’ that will be friendly to agriculture, but he expressed concerns about the new president’s stance on trade. 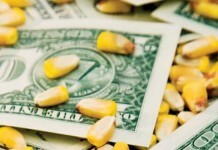 But on the front burner for agriculture is Trump’s opposition to multilateral trade agreements that most in the ag industry say benefit agriculture. On Monday, Jan. 23, President Trump moved to pull the United States out of the proposed Trans-Pacific Partnership trade pact. And that agreement “is a big deal to us,” Frazier said, saying 27 percent of all U.S. production is exported, and in the beef industry, 13 percent of U.S. production is exported, equating to about $250/head of feeder cattle, for example. 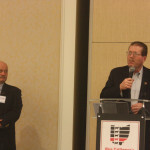 Both Frazier and Cooke said the new president’s pledge to repeal or address federal regulations, particularly the EPA’s Waters of the United States rule, is good news for agriculture. “You’re going to see some change in regulatory attitudes in this administration,” Frazier said. In fact, Scott Pruitt, the Trump administration’s choice to head EPA, has vowed to vacate the WOTUS rule. But even if the current WOTUS rule is overturned, the issue of clean water jurisdiction won’t go away, warned Cooke. 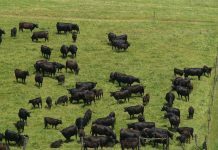 In addition to trade and relief from environmental regulations, the national priorities for the national cattle group include other regulatory relief, tax reform, immigration and the upcoming farm bill. The highlight of the OCA annual meeting is the presentation of statewide awards. The top award, the Industry Excellence Award, went to Dr. Tom and Susie Turner. 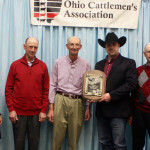 The Vollborn family, of Gallia County, was named the Commercial Producer of the Year; Dave Felumlee, Newark, Seedstock Producer of the Year; J.L. 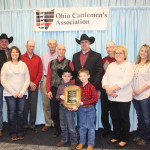 Draganic, Fayette County, Young Cattleman of the Year; Stan Smith, Fairfield County, Industry Service Award; and Hord Livestock Co., Crawford County, received the Environmental Stewardship award. Tom Turner has always been involved in the beef industry. 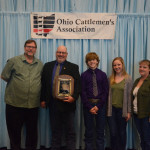 After growing up on his family’s farm, Tom’s college and graduate work was focused on the beef industry, and he retired from The Ohio State University as a professor of animal science. 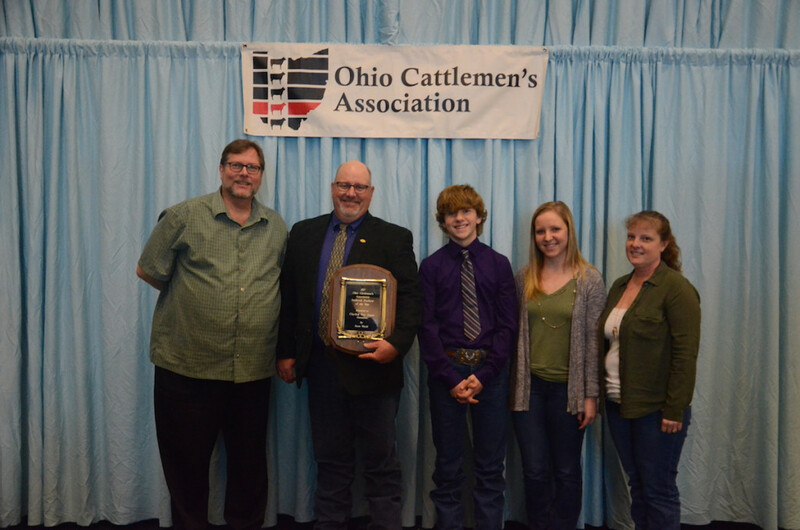 During his professional career, he coached the Ohio State livestock judging team for more than 30 years. 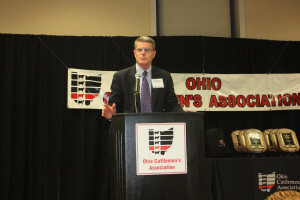 He also served on the board of directors and as president of the Ohio Cattlemen’s Association. During his tenure, he aided in the development of a strategic plan, restructured the board of directors and helped create the BEST youth program. 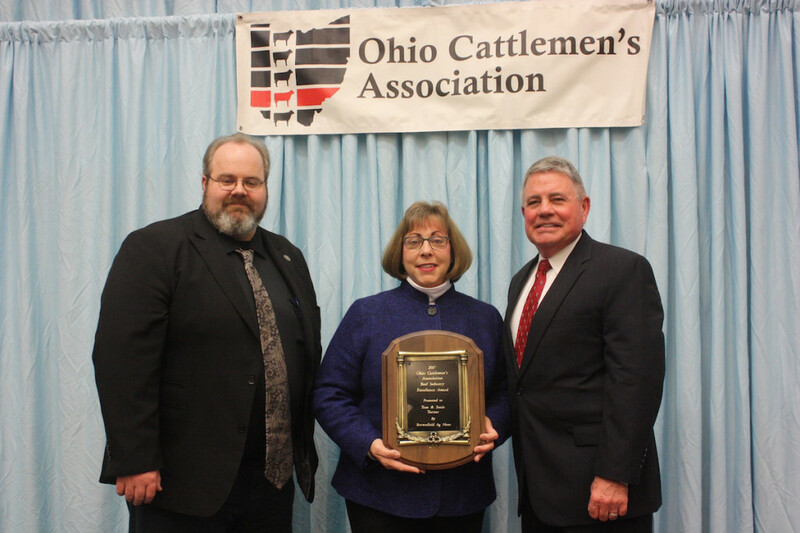 Tom and Susie stay involved in the beef industry by managing their beef cattle herd, staying active with the Ohio Shorthorn Breeders’ Association, traveling around the United States, and internationally, judging beef cattle shows. The Vollborn Family of Bidwell, Ohio, received the Commercial Producer of the Year award. Vollborn Farms is primarily a commercial operation, while Vollborn Cattle Company focuses on purebred registered Charolais and Angus cattle. 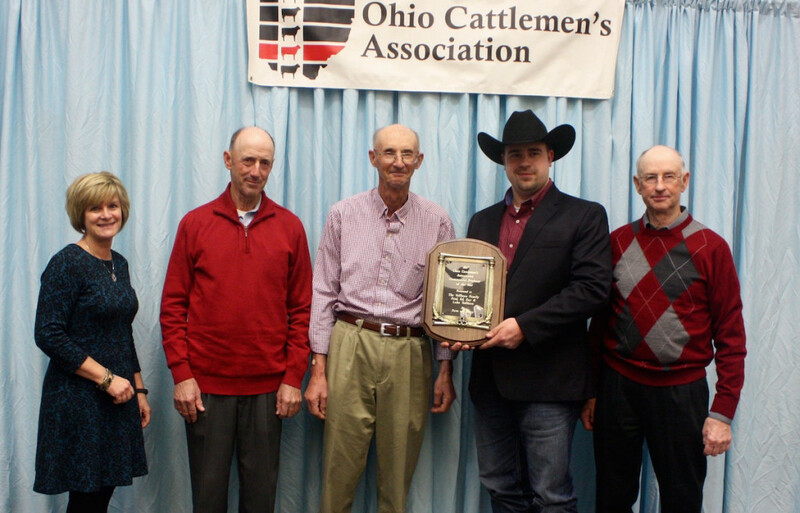 Dave Felumlee of Claylick Run Angus Genetics, Newark, Ohio, was named the Seedstock Producer of the Year. Claylick Run emphasizes quality genetics and performance, and Felumlee sells purebred bulls and heifers to seedstock producers, as well as commercial producers, throughout Ohio and eastern United States. 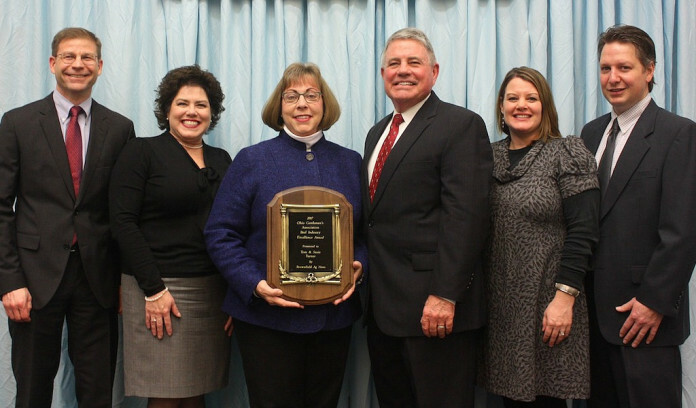 The association awarded Duane and Pat Hord of Hord Family Farms near Bucyrus, Ohio, its Environmental Stewardship Award. Hord Family Farms represents fifth and sixth generation row crop farmers, swine producers and cattle feeders. J.L. 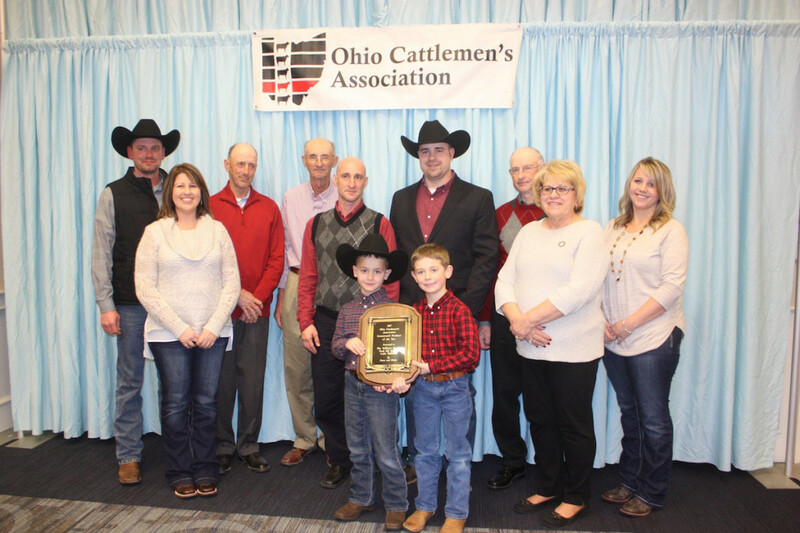 Draganic, of South Solon, Ohio, received the Young Cattleman of the Year award. He farms with his aunt and uncle, Jo and Gene Baumgardner, of Ricketts Farm. Draganic is currently the herd manager of a small cow herd of about 40 Angus-based cattle with some Simmental influence. He currently serves on the OCA board of directors as director at-large and is co-chairman on the Ohio Beef Expo planning committee. 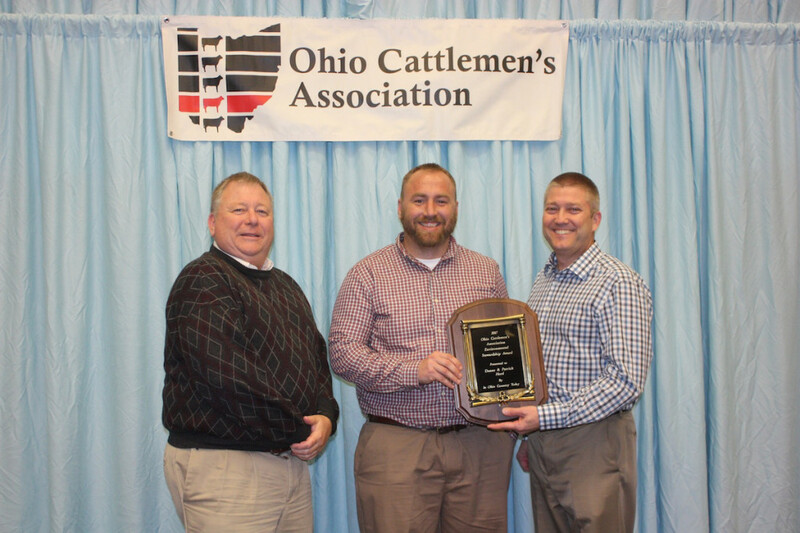 Stan Smith of Lancaster, Ohio, received the Beef Industry Service Award for his work with the Ohio State University Extension team in Fairfield County, where he is an agriculture program assistant. He has been a member of the OSU Extension Beef Team for almost 30 years, and coordinates a weekly newsletter providing information about latest research and updates in the beef industry to 2,000 subscribers across the country. This past summer, the newsletter boasted its 1,000th edition. 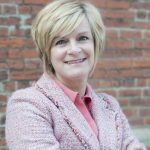 Smith was part of the OCA board of directors that took the initiative to ask for a second dollar on the beef checkoff. He also raises cattle on his family farm near Canal Winchester. 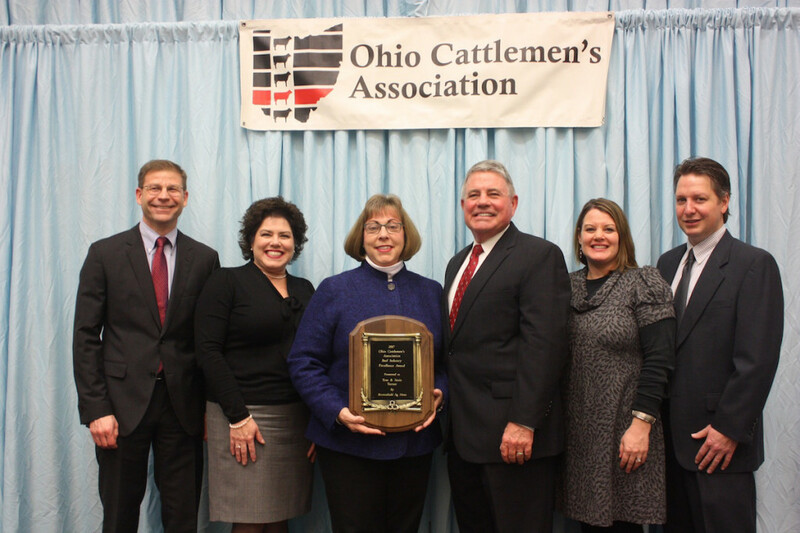 Ohio Cattlemen's Association Commercial Cattlemen of the Year award winner, Ray, Ed, Luke and Fred Vollborn, presented by Farm and Dairy Editor Susan Crowell. 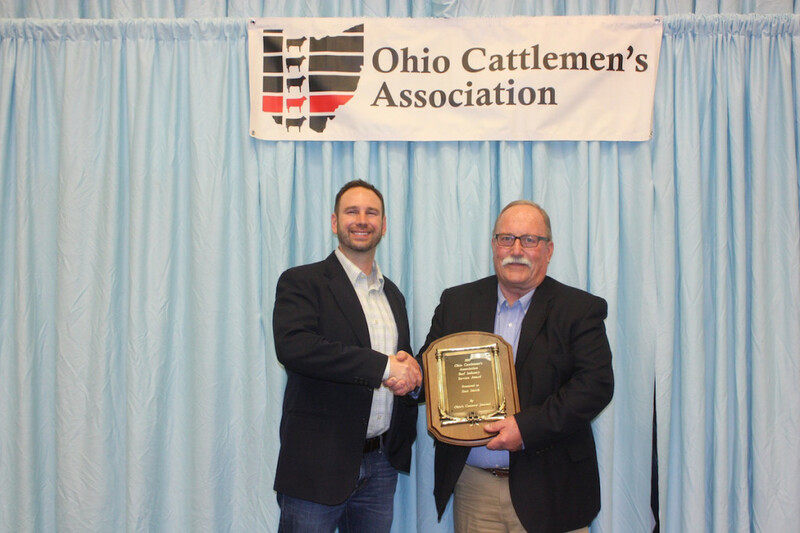 Stan Smith, OSU Extension program assistant for agriculture and natural resources in Fairfield County, received this year’s Industry Service Award from the Ohio Cattlemen’s Association. Also pictured is Matt Reese, representing award sponsor Ohio's Country Journal. 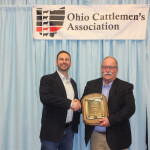 The Ohio Cattlemen’s Association honored J.L. Draganic, of Fayette County, as its Young Cattleman of the Year. 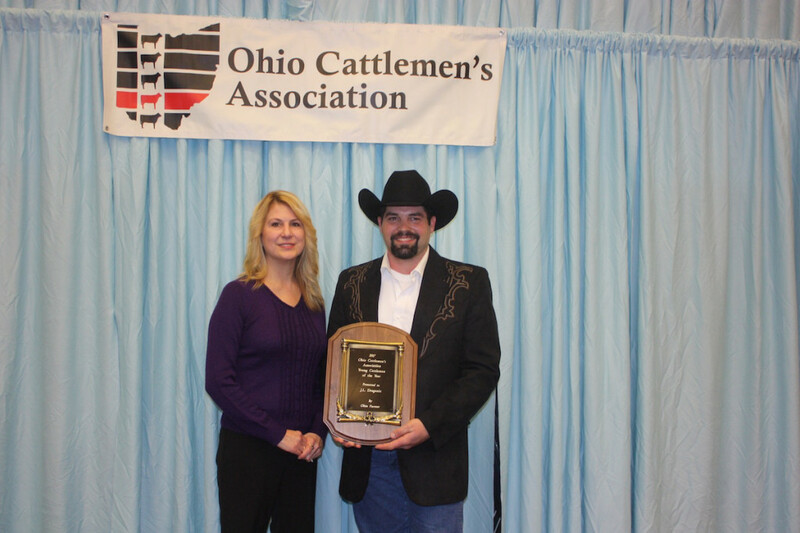 Also pictured is Jennifer Kiel, representing award sponsor Ohio Farmer. 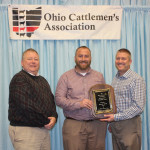 David Neef (center) and Pat Hord (right) accept the Ohio Cattlemen’s Association Environmental Stewardship Award on behalf of Hord Livestock Company, Crawford County. Also pictured is award sponsor Dan Wilson, for In Ohio Country Today. 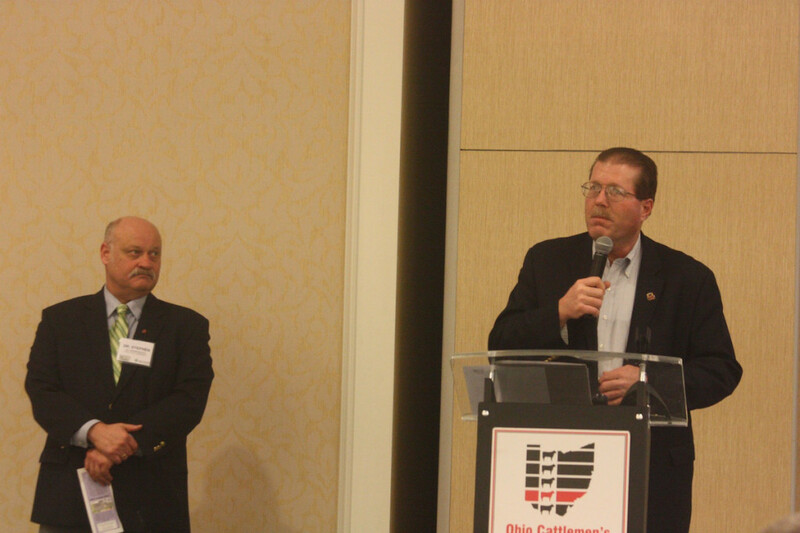 Ohio State University animal sciences team members Dr. Stephen Boyle (left) and John Grimes shared program updates with OCA members during their annual meeting Jan. 21.